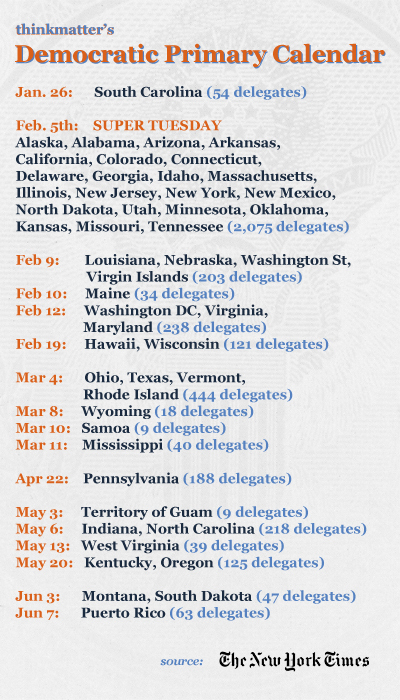 The following is an easy reference Democratic Primary Calendar with the dates of each primary and the delegate totals. More on the Super Tuesday events to come. I will also make this into a page for easy reference in the Navigation Bar above.